The Herttoniemi Backpack by Marimekko is ideal for the capital of Finland. Herttoniemi is located in the 43rd district of Helsinki, which is accessible via metro from the city centre in just a few minutes. It is characterised by its numerous parks. Many residents of Helsinki come to Herttoniemi for an evening stroll to escape the everyday life of the city. With a blanket and something to eat and drink, they settle down on the grass for a meal. The Herttoniemi Backpack by Marimekko is therefore perfect for this purpose. The Herttoniemi Backpack by Marimekko is made from 100% polyester and has many large and small compartments, in which work utensils as well as food and drinks can be stored. 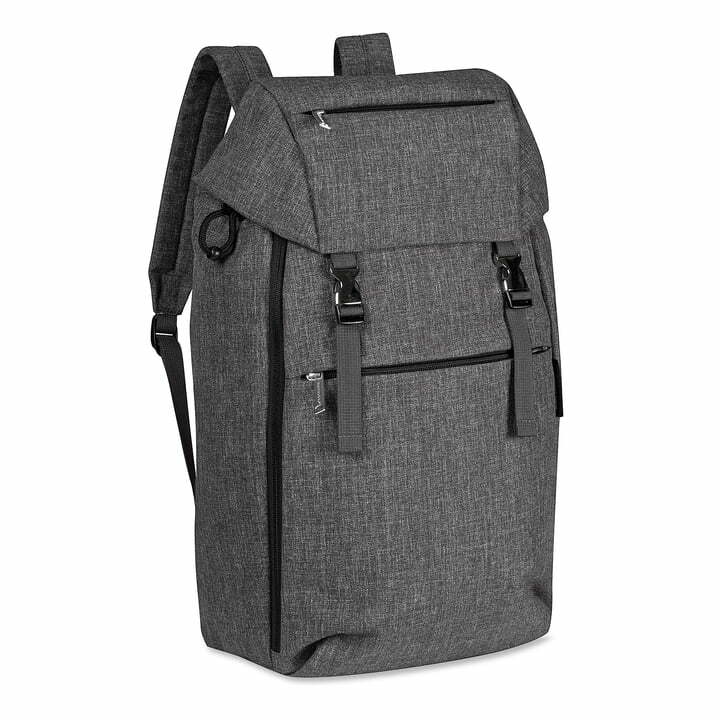 Isolated product image of the Herttoniemi Backpack by Marimekko in grey. The Herttoniemi Backpack by Marimekko is ideal for to transport food and drinks for a picnic. 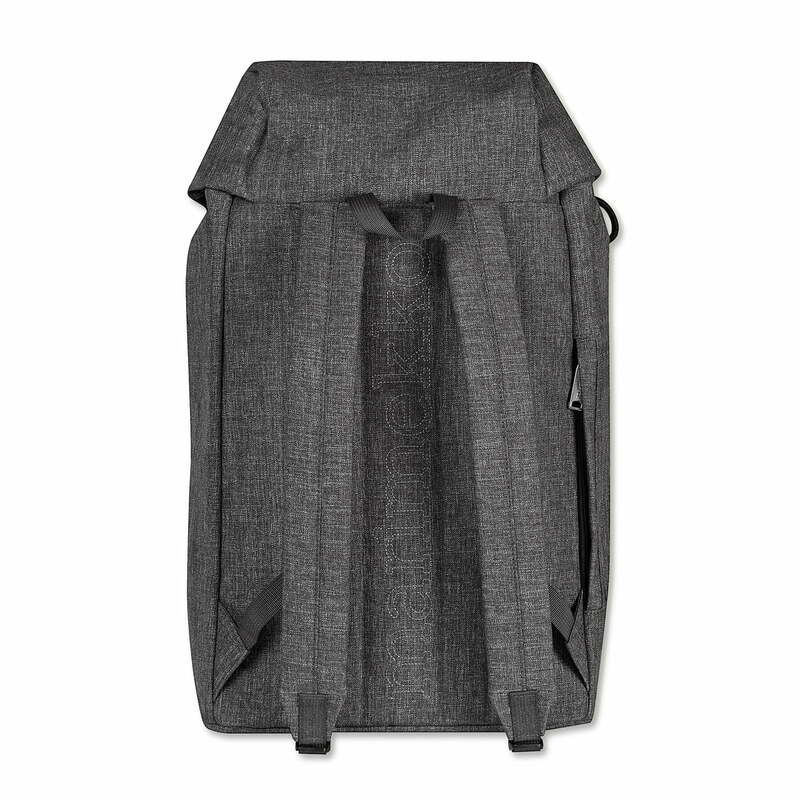 Isolated product image of the back of the Herttoniemi Backpack by Marimekko in Grey. Herttoniemi is the 43rd distric of Helsinki which inspired the name given to the backpack. 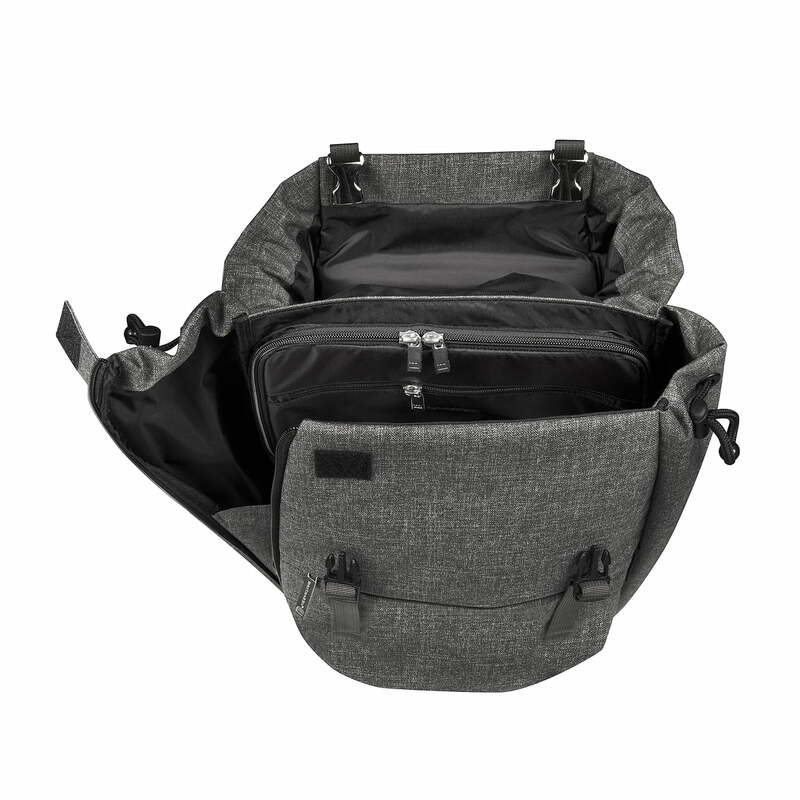 The Herttoniemi Backpack by Marimekko is made from 100% polyester and has many large and small compartments, in which both work tools and lunch and drinks can be stored.